I haven't even started on this year's AC games but next year's Assassin's Creed game has already been leaked. 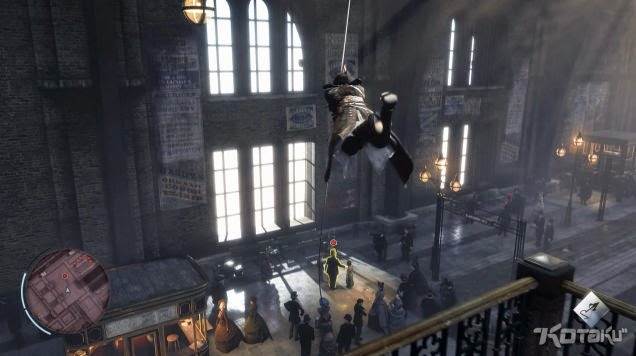 It's apparently named Assassin's Creed Victory for now and will be set in 19th Century Victorian London, according to the report by Kotaku. Not just a rumour this time, Ubisoft has already confirmed that it's legit to Joystiq. However, they seemed to be upset about the leak and based on public opinion, it looks like it was a very bad time to leak out a new game when a lot of gamers have not gotten over the AC Unity mess. Anyway, I'm not surprised at the timeline at all and I'm pretty sure a lot of AC fans wouldn't be either. 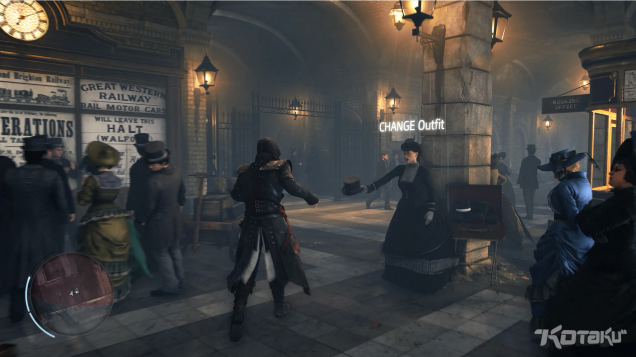 The Victorian London era was already teased in an in-game email within AC IV's modern storyline.. Here are some shots that I took a few weeks back, and just as I was about to start speculating which era will be next.. the leak has spoiled it for me.. Anyway here are the pics from AC IV..
Mongol Empire, American West, Japan are all possibilities for future Assassin's Creed games. Victorian London and the French Evolution eras were also teased in the pics above, which are proven already. Swinging assassinations! Possible grappling hook weapon mentioned in the Kotaku article. Change Outfit. Hmm.. could this be a quick-change option to disguise youself? Look at the lady handing our Assassin a hat.. No more diving into hay? The Kotaku article also mentions some new gameplay innovations and here is a fight on top of a moving vehicle perhaps? So from Paris to London..
What's with the Victorian London setting anyway? 2015 seems to be all about this era, with The Order and Bloodborne both set in this era and now we have AC Victory joining in. I'm usually excited about a new AC game but I think this leak couldn't have come at a worse timing. I'll think about this later. I'll head to Paris first..